If it were an episode of The People’s Court, the ugly contract dispute between Draper mechanic Eugene Ju and Draper City Councilman Alan Summerhays might be called the case of the Cranky Mechanic vs. the Municipal Moocher. But unlike in TV court, the case between Ju and Summerhays was not resolved by a celebrity faux judge but was settled out of district court in May 2013. Ultimately, a jury did not deliberate the allegations raised by Ju, who, in an Oct. 29, 2012, filing, alleged that for years, he had done free mechanical work for the city councilman because Summerhays “intimated” that he shouldn’t be billed because he’d helped Ju secure a contract to do police towing in Draper City. Summerhays says the allegations are completely bogus and were lobbed at him in response to a lawsuit he’d filed to take possession of two trucks and a forklift he’d left with Ju to do repairs on. Ju later took possession of the vehicles, claiming that they’d been abandoned on his home property. 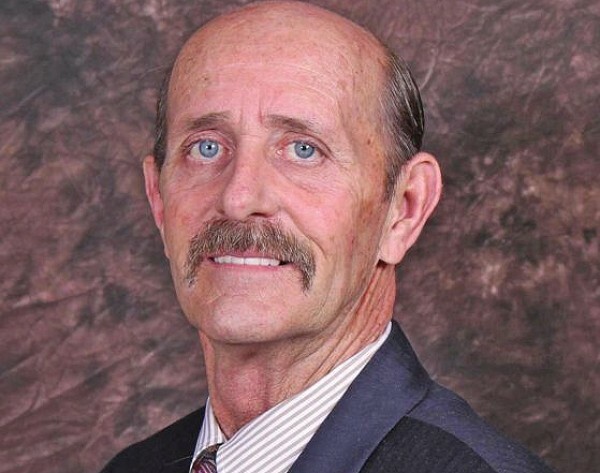 But while the lawsuit alleges Summerhays extorted Ju for free services, the Draper councilman fires that charge right back at Ju in an interview, saying that Ju’s allegations were a smear tactic employed to get Summerhays to drop his lawsuit seeking repossession of the trucks. “He extorted me right out of my trucks,” Summerhays says of the case he had to settle against Ju. Beyond that, Summerhays says, when litigation heated up, Ju entered the bar of Summerhays’ restaurant on multiple occasions and threatened his life, a claim Ju denies. The legal filings paint an ugly picture, but it all started out innocently enough when, in 2009, Draper City for the first time sought to contract with local businesses to do police towing. Summerhays says he was “tickled” that local businesses, including Ju’s, would get a chance to bid for the contracts, though he denies having a hand in who was picked for a contract. Ju’s One Stop Frame Up won a contract to do police towing in the city in 2009. Summerhays says his troubles with Ju didn’t occur until 2010, when he asked Ju to tow and repair a 1968 Ford pickup, a 1966 Ford pickup and, later, a forklift. Summerhays says he bought all the necessary parts and was ready to pay Ju for the costs of fixing them up, but Ju delayed repairing the vehicles for an almost two-year period and then gave Summerhays a hefty storage bill. Summerhays balked at paying the bill and, as a result, lost the title to the trucks in September 2012. In that same month, he sued Ju to recover his property. “He presented me with a bill of $2,000 for repairs and $7,800 for storage,” even though the vehicles were towed to Ju’s home and not his business, Summerhays says, a point his lawsuit hinged on. “He doesn’t have a storage lot at his home, so he can’t charge for something he doesn’t have a license for,” Summerhays says. According to a counterclaim filed by Ju on Oct. 29, 2012, Ju did take possession of Summerhays’ trucks, but it was two years after they had been “abandoned” on his property. Ju also alleges in his filing that Summerhays had Ju do free work for him in exchange for helping Ju win the police-towing contract. According to Ju’s filing, Summerhays intimated to Ju that Ju had obtained the contract thanks to him, and soon thereafter had him performing repairs on Summerhays’ “personal automobiles and machines, including tractors, dump trucks, dully trucks, lawn mowers, snow blowers,” as well as “welding services on his business.” The filing also alleges that Summerhays expected this work to be done for free and, when Ju complained, that Summerhays threatened to use his influence to have Ju lose his towing business. Summerhays adamantly denies making any threats and says that he had always paid Ju for his work, in cash or gift certificates to his restaurant. Ju’s filing alleges, however, that Summerhays refused to pay for the two pickup trucks and the forklift, so Ju applied a lien to the vehicles that he said had been abandoned in his yard. The filing also points out another complication between the two men: who was at fault for the repairs of another truck that Summerhays had dropped off with Ju in 2011 that later, in 2012, was responsible, according to court documents, for burning down a McDonald’s restaurant. The freak accident occurred at a South Salt Lake McDonald’s. While Summerhays’ son was at the drive-thru window, the truck caught fire and, subsequently, the fast-food restaurant burned to the ground. Summerhays points out that he had to report who had done work on his son’s truck to his insurance providers, and that included notifying them of work done by Ju. But, he says, it was after he notified his insurance provider about Ju’s work that the mechanic filed his counterclaim, seeking $35,000 for the services Summerhays had allegedly squeezed him for. Summerhays says that’s also when Ju started coming to his restaurant, cursing him out and even threatening his life. Ju’s filing claims that his business faced retaliation from Summerhays in June 2012 because of their soured relationship, with Draper City investigating Ju for violation of city ordinances. According to Draper City spokeswoman Maridene Hancock, Draper is currently working with Ju on resolving the issue “that many vehicles are being stored and parked on his residential property,” the same complaint that was the basis of Summerhays’ lawsuit. Summerhays says he kept “right the hell out of” the investigation process, though he says the city discovered more than 100 vehicles on Ju’s property, far exceeding the amount allowed by city ordinances. Summerhays denied the allegations of extortion made by Ju and, at one point, demanded attorney’s fees for the cost of defending himself against the allegations. But, in May 2013, the case was settled out of court. “I said to heck with it; I haven’t got the time nor the money,” Summerhays says. Following the settlement, Summerhays’ attorneys have attempted to seal the court filings, but without success. As for Ju, he says his business is still doing police towing and wouldn’t comment on the case with Summerhays other than to summarize it as, “It was, ‘You leave me alone and I’ll leave you alone,’ ” Ju says.